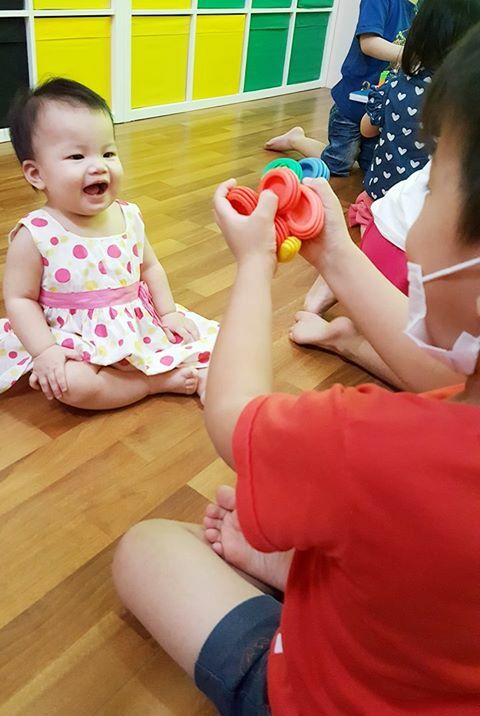 Puchong PlayGroup. Childcare. Daycare. Nursery. Preschool. Toddlers. Home School- iKid House : Cuteness Overload! Cuteness overload! Siblings love. Baby was so engaged when her older brother was playing with her. There's no greater sight to see than an older brother making everything to make his little sister happy. This is truly a great display of love. At our playhouse, we teach our kids to practice showing love to their siblings. This is what we do best!